I stay in a duplex house. Even though there are 2 floors, We are a family of two members and do not require more than 3 Lights, 2 Fans and 1 LCD TV at a time. As per our requirement, we need a 850VA Inverter, however, will that large area cause any difference in the efficiency of the invertor. We have 8-10 hours of power failure in our location. I wanted to go for 900VA Luminous Shakti Charge but you have not recommended square wave inverters for LCD TV’s. Please recommend an equivalent option among pure sine inverters as compared to Luminous Shakti Charge. All Inverters do not support instant switch over from mains to battery during power cut. Could You recommend one which does switch instantly? Does Sukam shiny 850 VA, Microtek UPSEBz 850 VA & Luminous Cruze 875VA inverter come with that function? Any comments on Mahindra powerol & APC BI850SINE Inverters? Battery: Out of Exide IT 500i & Exide IT550, which one would you recommend. Are there any tips and tricks to increase the Life of the Lead acid Battery? Any tips for proper maintenance? We have seen Microtek inverters working flawlessly in large houses, So no worries about the efficiency of the inverter. 850 VA Pure sinewave inverter is best for your load preference, with IT500 you can handle power-shedding up to 8 hours. Luminous 900va Sakthi charge is a Powerful inverter with high capacity charger, no other Pure sine wave inverter in the market could replace it right now. It’s up-to you to decide Pure sine wave or Square wave. Switch over time of all leading brand inverters are more or less same, there are two modes in the inverter, one is narrow voltage mode and another one is wide voltage mode. we recommend wide voltage mode for normal home use. Narrow voltage mode is preferred only if you connect your desktop PC with inverter. In both modes you cannot notice any delay in switch over between mains to battery. Even your LCD TV won’t restart in wide voltage mode. No worries. IT500i is very useful to monitor the charge level of battery. It has led indicators and some additional facilities in terms of maintenance. IT500 lacks led indicators but in terms of performance, both batteries are same. Place the battery in cool and ventilated area, heat will kill your battery life. Always keep a bottle of distilled water with you and top-up the battery whenever it needs. Do not buy local distilled water bottles from anywhere, they are duplicates and have very high level of ppm. Use only branded distilled water for batteries, it would cost Rs.20/- per Litre. 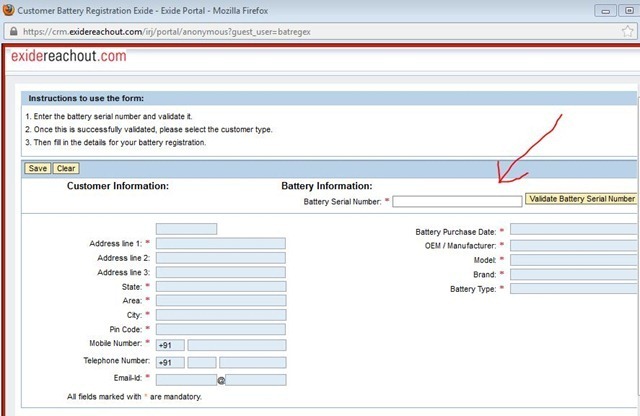 Easy step to Find out Duplicate Exide Battery!